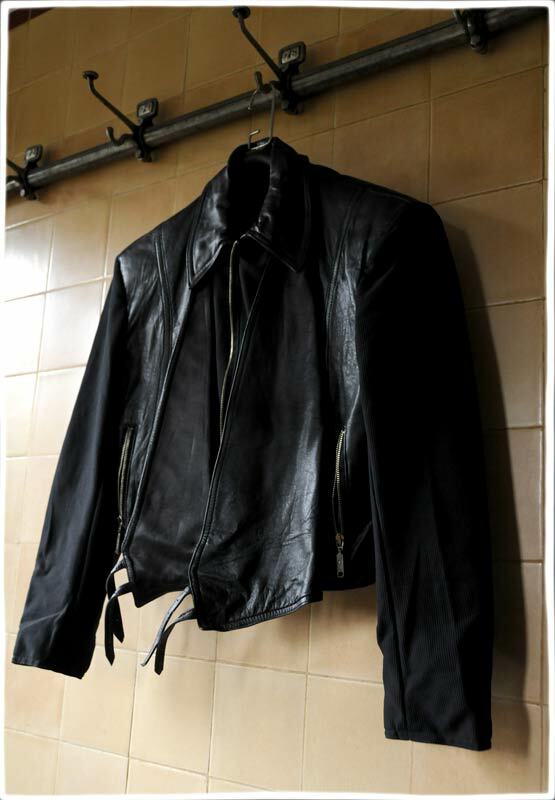 This is a very good quality, thinner leather bomber jacket with sleeves made of slightly elastic nylon. The lining is polyester. 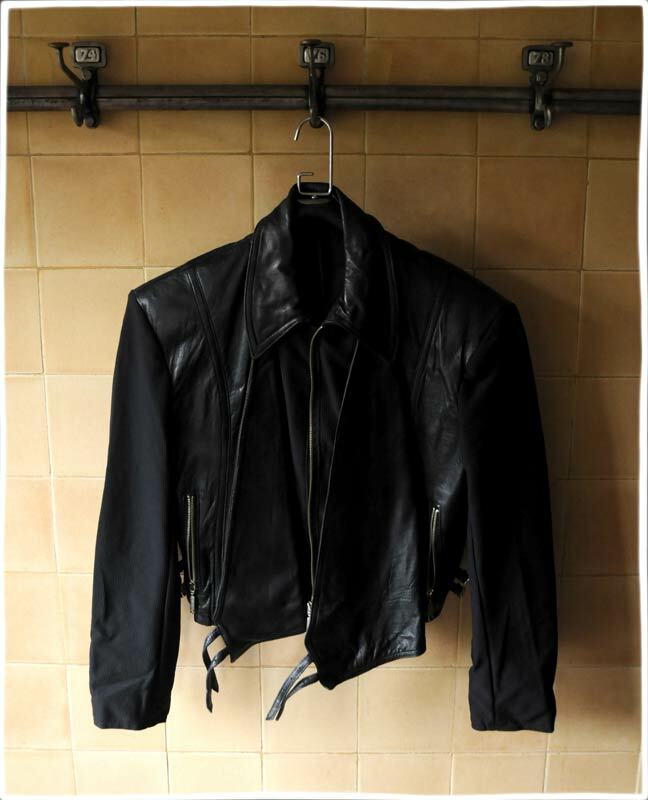 Zips and strap fastening. 2 zip pockets at front, I side pocket. Dates from 90s and is in great condition.